This is my most minimalist look for spring. This coat i got from Zara when it was on sale, It was actually the last one they had. This wool classic blazer/coat is a timeless piece. 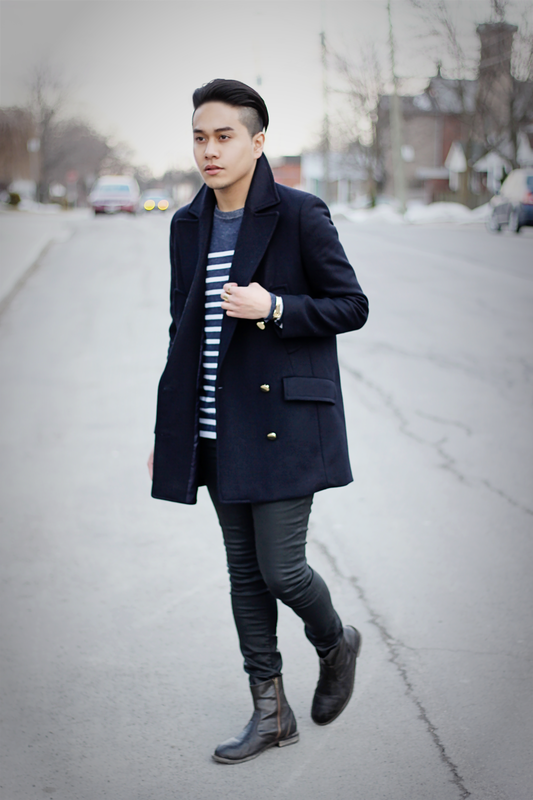 It can pretty much go with everything from street style to dapper look. 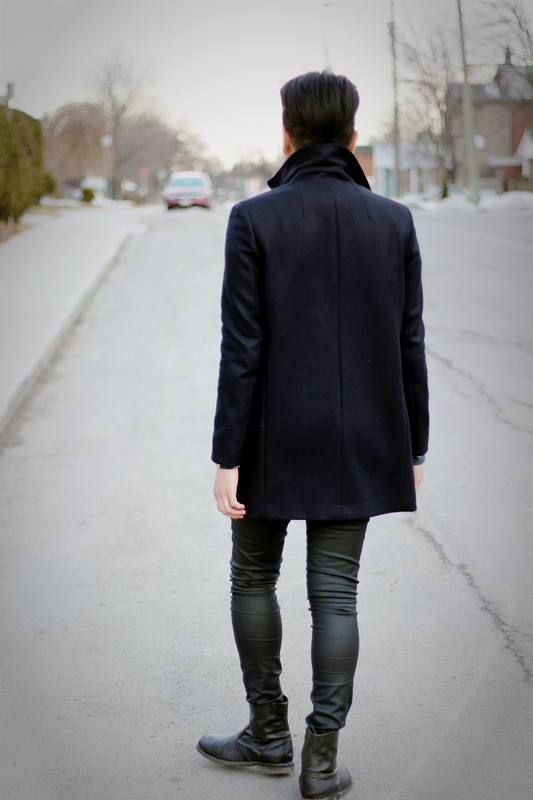 I love how this coat is not black but it is rather dark navy blue with gold statement buttons. pants from zara, boots from hm, gold accessories from hm. love it - great boots and coat!